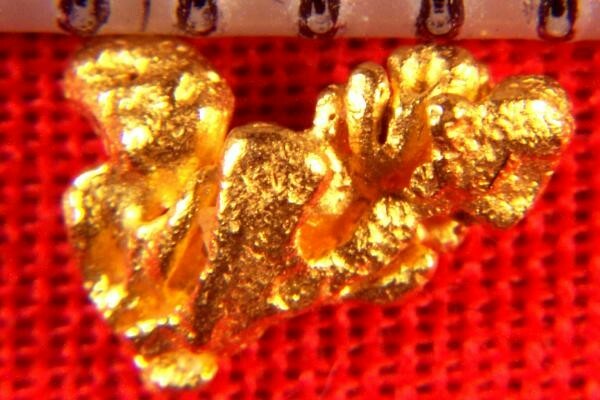 This natural gold specimen was recovered by Venezuelan miners in Zapata, just outside of Ikabaru, near Santa Elena de Uaire in Venezuela. It has multiple gold crystals. This beauty is 1/4" (7 mm) long and it weighs 5.5 Grains (0.68 Gram). You don't see a gold specimen like this for sale very often. 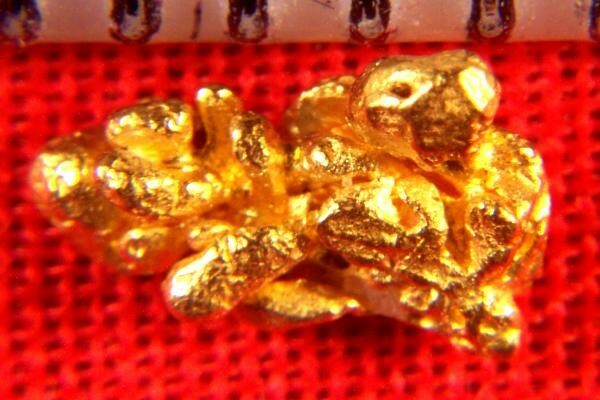 I have the largest collection of rare gold nuggets that you will see anywhere.